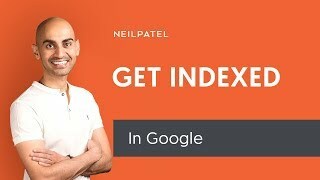 Your website being indexed on Google absolutely matters to you if you are looking for a way to attract more Internet users to visit your website for whatever reason. For example, if you are running some kind of a business online and you have a website that serves as your representation to the online community, the search engine optimization can bring you numerous benefits. Attract more online users, capture their attention, present them with your offer, craft the highest quality content and do everything else that could result in the increased website traffic. Letting the search engines know that your website exists is the most important thing that you need to do if you want more people to find out about your website. If you want to capture the attention of all internet users in order to increase the traffic, you need to understand that the Internet is entirely based on protocols and information being displayed because of those protocols. Since the Internet is a gigantic information repository, many users wrongly think that once their data is posted, it is automatically displayed to literally every person online. Well, things don’t work this way and not all things have the same rate of displaying. The content that has already been housed online is always the first to come. That is why it is so important to take search engines into your consideration when managing your website online. If you want to make sure that your website gets the wanted attention that it deserves, you need to understand how search engines work. That applies to the way they evaluate and find your content. Finding and evaluation is a process that has two basic steps: crawling and indexing. As simple as that. That is exactly why web indexing became so important as of late. Since the thing that makes any Google search possible is mainly responsible for all modern search, it is time to introduce Googlebot. It is a huge collection of crawlers and bots that are connected into one program that Google utilizes to give you search results when needed. That program does the search by following the aforementioned two steps of crawling and indexing. Crawling is moving from one website to another and gathering information in order to list and process that information which is commonly known as web indexing.